The gang that kidnapped yet-to-be ascertained number of persons along the Birnin Gwari- Kaduna road have placed a demand of N1 million on each of the persons in their custody. According to Daily Trust, the abductors had made phone contact with the officials of the National Union of Raod Transport Workers, NURTW, in Birnin Gwari, Friday evening and demanded for N5 million on each person. But the bandits called again, Saturday morning, to restate the demand and after negotiations with the officials came down to N2 million and later N1 million. “That is the point we have reached on the negotiation so far,” the NURTW official said. 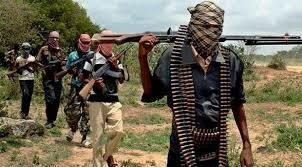 Meanwhile, the union has said about 23 persons were abducted.